The ‘Right to be forgotten’ legislation adopted by Russia will require internet search engines to remove links to personal information if the citizen so desires. While deputies in the State Duma claim the law mirrors that of the European Union, the industry strongly opposes it, predicting a series of lawsuits. Lawyers say adopting such a law is unconstitutional, and are concerned that the law will be used by prominent individuals to selectively edit their past. A controversial new piece of legislation that allows people to demand that internet search engines erase personal information they deem “false” or “irrelevant” has been signed into law by Russian President Vladimir Putin. The law, referred to as the “right to be forgotten,” was signed by Putin on July 14. It also stipulates that if a search engine refuses to stop providing those links within 10 days of receiving a request to remove them, the complainant has the right to go to court. The law is due to come into force on January 1, 2016. Representatives of Russia’s lower house of parliament, the State Duma, said “people have long been talking about it” [the need for such a law] and claim that it “absolutely” corresponds to European practice. Critics, however, disagree and accuse the authorities of being disingenuous. However, one of the authors of the Russian law, First Deputy Chairman of the Duma Committee on Information Policy, Information Technology and Communications, Vadim Dengin, said that the initiative has the interests of ordinary Russians at heart. “These are the desires of citizens, not the authorities. They want to remove [information] about themselves that annoys and frustrates them and spoils their reputation,” he said. According to him, a person can contact the resource directly in order to remove information about themselves, but if the resource is outside the jurisdiction of the Russian Federation, removal of personal content is possible only through an appeal to the search engine. “The law is aimed at fighting against those citizens who sit and defame people from abroad. They are well aware that if they write this using Russian servers, they will be easy to catch,” said Dengin. State Duma deputies were not solely responsible for drafting the new law – an advisory council was created to this end, which included, among others, lawyers and internet industry representatives. Thanks to this, “substantial changes” have been made to the third edition of the law, according to Matvei Alexeyev, external communications director of Russian media portal Rambler.ru. However, the key questions remain the same. “How will a search operator determine if the information is relevant or not anymore? If it is of public importance or not? What is irrelevant to me can be meaningful for other people,” said Alexeyev, pointing out that the law does not provide any criteria to rate information as bereft of relevance or public importance. He is not alone in having misgivings about the new legislation, with Russia’s largest search engine Yandex also expressing concern about the practical and ethical implications of the new law. “Yandex and other internet companies have criticized the bill since we learned about it,” the press service of Yandex told RIR. In fact, search engine operators are entrusted with the functions of the courts and law enforcement agencies that they cannot execute, the company notes. At the same time, Yandex “does not find effective” this kind of approach, where the information remains on primary source websites, and only links from search engines are removed. 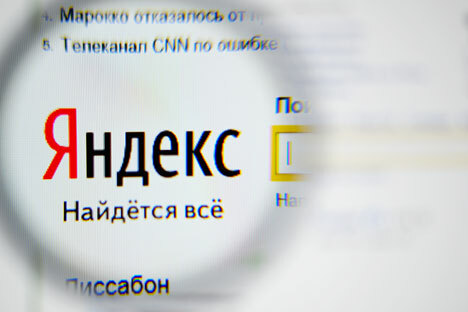 Earlier, Yandex released its own assessment of the bill, in which it noted that the law contained “obvious contradictions with the current legislation,” including the Russian constitution. Galina Arapova, head of the Center for Media Rights and a member of the International Media Lawyers Association (IMLA) at Oxford University, also believes that the law is in conflict with the constitution, telling RIRin an interview that it is also incompatible with the international standards established by the European Convention on Human Rights. In addition, she believes, Russian legislators are engaged in “substitution of notions.” “How is the ‘right to be forgotten’ being promoted in Russia? We are told that it corresponds to progressive tendencies in Europe, while the whole of Europe screams about its reactionary character and seriously criticizes it,” said Arapova. As a lawyer, Arapova notes that “irrelevant information” is a very vague wording. “A year later, the situation will change, and it may become relevant again. A person who did not want to go into politics will suddenly decide to go there, and then all that was in his life will become more than relevant,” she cites as an example. In her opinion, thanks to the law, the authorities have now additional levers of pressure on journalists, bloggers and people who are active on the internet. Secondly, a decision will be taken by the court in any case, and this “does not necessarily mean that it will permit the removal of this information,” said Dengin.